Dr. Kevin Coupe received his undergraduate education from Rice University in Houston. He then earned his medical degree and completed his residency training at McGovern Medical School at UTHealth in Houston where he was recognized for clinical excellence. Board certified in orthopedic surgery, Dr. Coupe specializes in sports medicine and serves as an assistant professor of orthopedic surgery at McGovern Medical School. A published author in a number of medical journals, Dr. Coupe is a member of the American Association of Orthopaedic Surgeons, A.S.A.M.I North America-The Limb Lengthening And Reconstruction Society, Texas Orthopaedic Association, Texas Medical Association and the Harris County Medical Society. Dr. Coupe lives in Conroe. 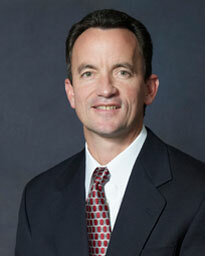 He is a team physician for Montgomery High School and Oak Ridge High School. With the Memorial Hermann Ironman North American Championship just around the corner, we sat down with Dr. Kevin Coupe, an orthopedic surgeon with Memorial Hermann IRONMAN Sports Medicine Institute - The Woodlands and UT Physicians who gave us a quick guide into how triathlons impact one’s health.